Product categories of Aluminum Busbar, we are specialized manufacturers from China, Aluminum Busbar, Aluminum Busbar Material suppliers/factory, wholesale high-quality products of Aluminum Bus Bar R & D and manufacturing, we have the perfect after-sales service and technical support. Look forward to your cooperation! Model No. : NHMC Refractory busbar. 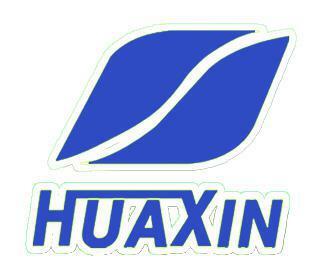 Huaxin power is your single-source solution for aluminum Busbar. We select the best grades of material at cost-efficient prices, as well as provide quick turnaround time. Our aluminum busbar can be formed using the same methods as all other materials, which means cost containment and turnaround time are able to be maintained. It is most often used for electrical suppression in low voltage applications, where moderate strength and lightness is required. It`s also ideal for cramped enclosures. We have the capabilities and expertise to plate aluminum busbar with tin, nickel or silver. Tin plating at busbar joints solves oxidation issues. However, silver plating is usually better because it`s tougher and further improves conductivity. The primary differences between aluminum and copper bus bar is that aluminum is more cost-effective and lighter weight. For demanding or unique applications, Huaxin power provides custom busbar services. Since aluminum busbar has a structural stiffness that is lower than steel it is offset with a thicker gauge. Contact us for aluminum busbar; we`ll respond shortly.